As we approach Easter, let me invite you to join us on a five-day ‘Prayer and Fasting’ journey. We know from Scripture that God graciously uses our prayers to accomplish His will. We read in 1 John 5: “This is the confidence we have before him: If we ask anything according to his will, he hears us. And if we know that he hears whatever we ask, we know that we have what we have asked of him.” (v. 14-15). 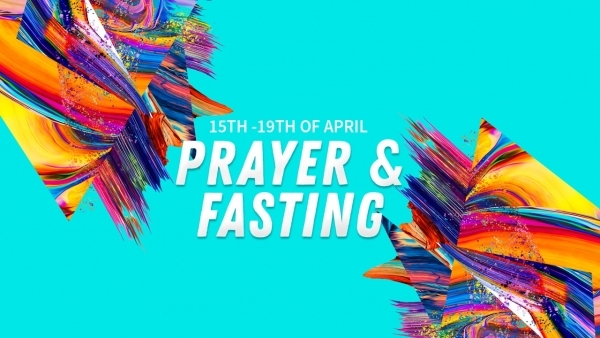 For this reason, we are setting aside five days in the lead up to Easter for a time of focused prayer, fasting, and seeking God. We are asking God to draw more people to Himself and to a saving knowledge of Jesus, and to draw us into a deeper relationship with Him and a deeper apprehension of His saving work in our lives.